One of the great things about the music business is that, if things aren't going well with your band or career, you can always reinvent yourself. Such is the case with guitarist Alex Oriz who returns with a new band, Azoria, and debut album, Seasons Change. His eponymous band's last album, II, was an entertaining, but generally, lackluster album. While Oriz is the principal player, he has surrounded himself with fellow musicians from power metal act, ReinXeed, including it's vocalist Tommy Johansson singing on the first two tunes. But, thankfully, Seasons Change is not a power metal album akin to ReinXeed. Yes, Just Like The Phoenix, Love It Loud, and possibly To The Land of Glory or the title cut explore the realm of power metal thanks to their quick pace. 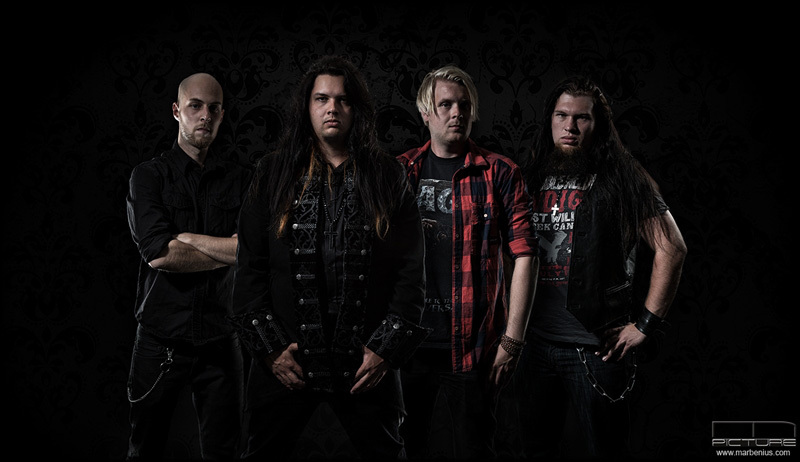 Otherwise, the songs are mostly a hybrid of melodic hard rock and metal, with Azoria using a variety of vocalists. These include, besides Johansson, notable Scandinavian singers Snowy Shaw, Mike Andersson, Mikael Dahl, Mark Gunnardo, and newcomer Matilda Eriksson. Actually, two of the best songs here are those featuring Shaw, Starlight and Peace of Mind. His voice is, as usual, deep, melodic, and sometimes creepy. The songs support his vocals with deep rich riffs. Another notable song is When You Sleep, with Matilda Erikkson on vocals. It's basic melodic hard rock in an AOR wrapper, catchy with a good groove, and Erikkson's voice alighting comfortably over the music. (Sure hope to hear more from her in the future.) As for the power metal tunes, my pick is a toss up between the title track, featuring Mikael Dahl (Crystal Eyes), and Just Like The Phoenix, even though it has Johansson on vocals. Generally, however, all the power metal tunes are rather routine stuff. A final nod has to go to the production and mix: consistently clear throughout, and certainly bringing out the bass on many occassions. Azoria and Seasons Change is definitely a step up and forward for Alex Oriz. 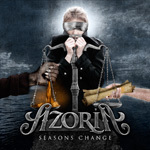 Guitarist Alex Oriz reinvents himself through a new band, Azoria, and new album, Seasons Change with positive results, offering a hybrid of melodic hard rock and metal.